Recipe adapted from Craft Passion. I made triple of this recipe and yielded 24 scones. Add butter and use pastry blender to cut the butter in the flour, until it looks like breadcrumbs. (if you do not have a pastry blender, use knife). Add sugar. (if you have additional dry fruit or nuts, add them in at this stage) and mixed well. In a measuring cup, beat the eggs with 3 - 4 Tbsp buttermilk together, and add this to the dry mixture. Put the dough in the bowl into the fridge for 10 - 15 mins. 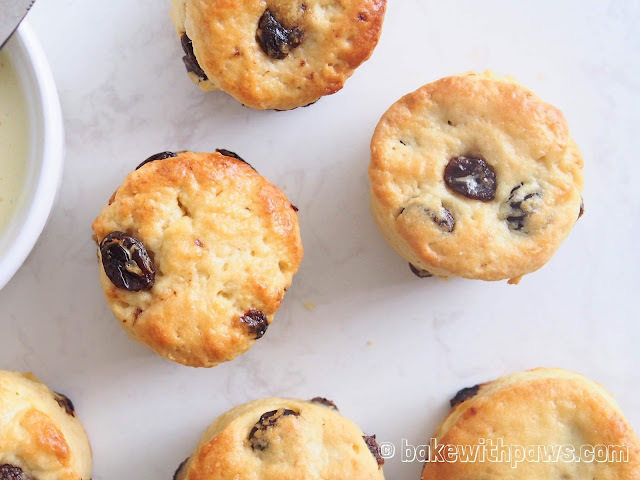 Form the dough into a ball, turn it onto a lightly floured surface and roll / pat it into a circle at least 1 inch (2.5cm) thick – not to roll it any thinner, this is the secret of a well-risen scones. Cut out the scones by placing the cutter on the dough and giving it a sharp ‘TAP’ – do not twist it, just lift it up and push the dough out. Carry on until you are left with the trimmings, then bring these back together to roll out again until you can cut out the last scone. Place the scones on the baking sheet, brush them lightly with buttermilk and dust with a little flour. Bake in the preheated oven for 10-12 minutes, or until well-risen and golden brown. Remove them to a wire rack to cool. 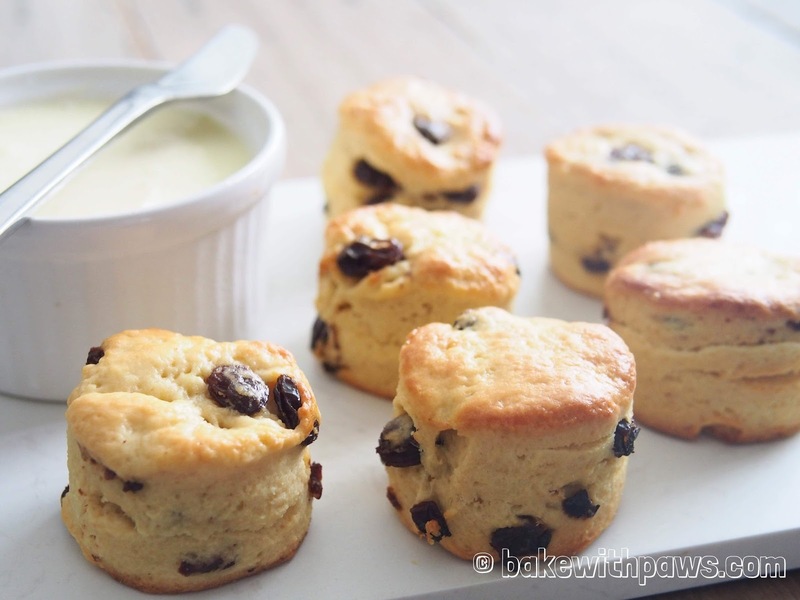 Traditionally, scones are served with clotted cream and fruit jam. You can make buttermilk at home if you can’t get from shop.